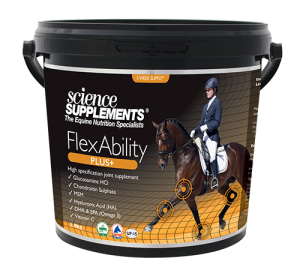 FlexAbility+ PLUS is the highest specification joint supplement available in the UK and is the only joint supplement in the UK with a published, peer reviewed paper in The Journal of Equine Veterinary Science. The study is the largest undertaken in recent history and the findings were also accepted and presented at the British Equine Veterinary Association Congress. 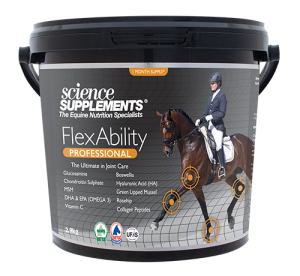 The clinical trials suggest for stiff horses, 6-7 out of 10 fed FlexAbility benefit in maintaining normal joint function and mobility. We are independently rated as "Excellent" with 5 stars by TrustPilot and as a UFAS and NOPS approved company, the quality is guaranteed.